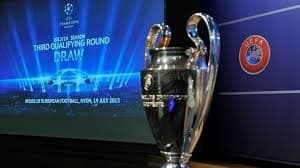 Backing Zenit to beat Nordsjaelland comfortably is the best bet on Wednesday’s European football program as the UEFA Champions League third qualifying round concludes. Nordsjaelland coach Kasper Hjulmand would have killed the confidence of his players when, before the first leg in Denmark, he billed his team as a massive underdog and remarked that the tie was a bonus match for it. Managers are supposed to build up their players rather than knock them down so one should not have been surprised to see Nordsjaelland lose 0-1 to Zenit at home. Now last season’s Danish Superliga runner-up heads to Russia for the second leg on what appears to a hiding to nothing, such is the stark contrast in form of the two participating sides. Nordsjaelland is in dismal form. The Wild Tigers have made an awful start to the Danish Superliga competition, losing 0-4 at Esbjerg and 1-2 at AGF as well as being held 1-1 at home by Viborg. Currently Nordsjaelland sits in the drop zone and it will slump to the bottom of the ladder if it loses to defending champion Kobenhavn in its next game. Zenit has made a respectable start to its Russian Premier League campaign, winning two, drawing one and losing one in spite of only playing at home once. The St Petersburg-based team would be unbeaten had it not conceded an injury-time goal away to Rubin Kazan’ so its form puts it several classes above Nordsjaelland in what is a mismatch. Because Zenit leads 1-0 from the first leg it cannot switch off and allow Nordsjaelland to fashion chances to bag what would be a priceless away goal. Expect a fully professional performance from Luciano Spalletti’s side, one in which it does not gift opportunities for its rival to score. Zenit is trading at odds of around 1.25 to win the second leg of its UEFA Champions League clash but dutching some of the scores is a better play. Zenit is available at odds of around 1.91 to win two nil but dutching 1-0 at 9.00, 2-0 at 7.25 and 3-0 at 8.50 plays almost 2.75. One could throw in 4-0 Zenit at 14.00 as well but that reduces the dividend to just over 2.25. The 1-0, 2-0 or 3-0 bet looks like the top bet with 888Sport’s bookmakers. Metalist bossed the first leg of its UEFA Champions League third qualifying round tie against PAOK and, with a clear fitness edge over its Greek opponent, the Ukrainian side appeal at odds of around 1.50 to complete the double. Kharkiv-based Metalist has made a flying start to the Ukrainian Premier League season, sitting in second spot after three wins and one draw. Metalist, whose squad has a distinctly South American flavour, has won its last eight competitive home games and 13 of its last 14, with its only recent blip being a 0-1 loss to Newcastle in February 2013. Metalist hit the woodwork and had considerably more shots on target than PAOK in Salonika last week and, with the Greek Super League team having to press on from the first whistle because they trail 0-2, the odds-on favourite should find plenty of space to exploit when it ventures forward. Backing away teams in European tournaments do not appeal all that often but Dinamo Zagreb is difficult to resist – the Croatian side is available at odds of around 2.20 – as a win bet versus Sheriff in Moldova. The Blues won the first leg in Croatia 1-0 having controlled the match from beginning to end, firing off 18 attempts to three. The game should have been wrapped up long before Ante Rukavina scored late on. Dinamo and Sheriff have history. The sides met in the UEFA Champions League last term, first in Moldova and then in Croatia. The Blues won both games – 1-0 away and 4-0 at home – so the head-to-head form from last season supports the impression that impartial observers derived from this term’s first meeting. Basically, Dinamo is the much stronger side. An away goal for Dinamo, particularly if the visitor scores first, would knock the stuffing out of Sheriff. Dinamo is trading at odds of around 1.80 to open the scoring but go for gold and back the Blues to taste victory instead.